Look into my eyes… the Optical Illusion is a Lie! THIS may have been a real optical illusion at one point somewhere in the past, but in the retelling (and JPEG/PNG recopying) it ain’t no mo’. The blue and green swirls “illusion” is misleading and the implication that there isn’t any blue in the picture is just plain out wrong. 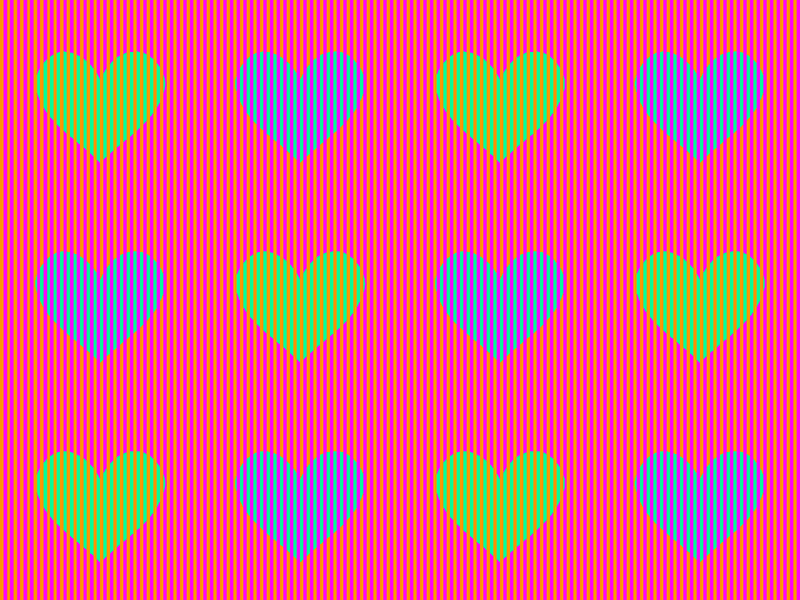 Yes, the center of each stripe is the same light green color: RGB( 0, 255, 150). The reason the blue swirls look like blue swirls is not only because there is some psychological trick of the brain. IT’S BECAUSE THEY’RE BORDERED BY ACTUAL BLUE PIXELS. The reason the green one looks green is BECAUSE IT’S BORDERED BY DARKER GREEN PIXELS. Here’s an extreme closeup of the ORIGINAL graphic illusion. And here’s a closeup of the center of the image originally posted on G+ where (because it was re-sized before the post), the blue and green borders have gotten extremely exaggerated). I mean… for the smaller part of the swirl, the pixels are almost completely blue or completely dark green! Are you kidding me?! Come on Internet! You can do better than this! Despite this, the original concept is sound. With straight lines, the real optical illusion effect seems to hold up or at least be unsullied by pixelation. You can see a more accurate example of the illusion here. Why no one is sharing this version around the interwebs, I can’t say. 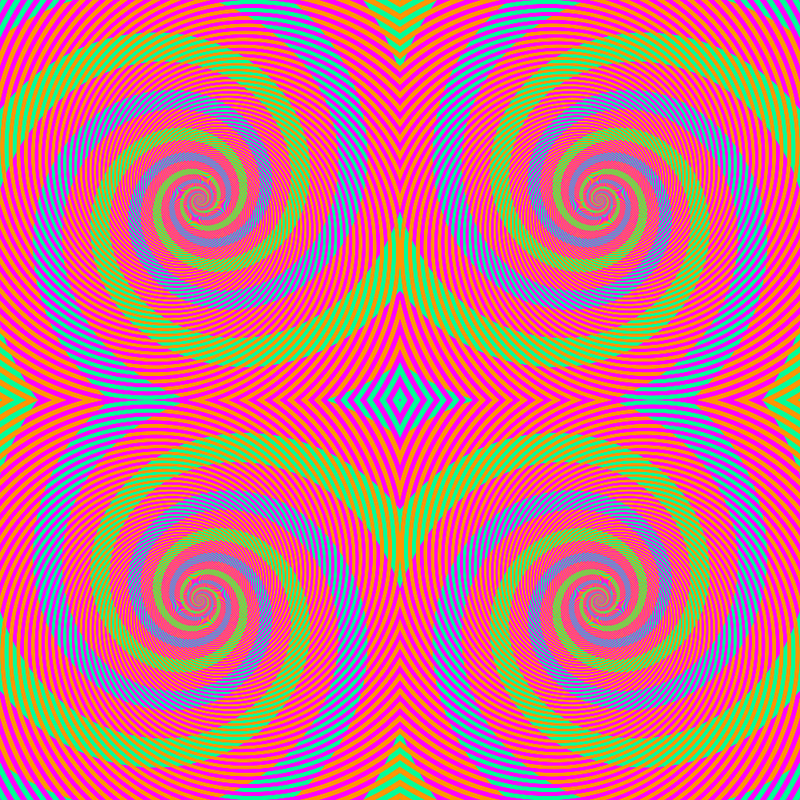 So, to conclude, this color illusion does work! However, the “green swirl” image being shared around really does have blue in it. If you’re interested in more color illusions, this is a good site that explains how they’re created. This entry was posted in Ramblings and tagged color, illusion, nerd, optical, pixel, science. Bookmark the permalink.